I have a question for you: is your website working for you or against you? I have a confession to make: I’m guilty of judging people (and their businesses) based on their websites. If I land on a website that doesn’t look good, or I can’t easily find what I’m looking for, I will leave pretty quickly. Are you guilty of this too?! These days, your website is like a modern day business card. How well it’s designed; speaks directly to your ideal client; and clearly articulates the problem you can help solve, has a significant impact on your brand and the future growth of your business. What does this mean for you and your biz? You need to make sure that your website is working for you and not against you. Here are 7 reasons why ensuring your website is well-designed, user-friendly and speaks directly to your ideal client should be your number one priority as a business owner. 1. Your website sets the bar and the expectation for the rest of your business. 15 seconds. That’s how long you have to engage someone who lands on your website before they lose interest and click-off elsewhere. High converting websites have one thing in common: they have well crafted copy and visuals that speak directly to your ideal client; capturing their attention from the get-go. How many potential clients could you be turning away simply by not having compelling copy and a design that authentically encapsulates your brand, positioning you as the expert with the solution they’ve been looking for? Make sure your front door looks fabulous and clearly demonstrates how you can help your dream clients by offering a level of assurity that your business is trustworthy, reliable and will deliver on what it says it will. 2. Your blog is one of the best (and easiest) ways to position yourself as an expert in your niche and build relationships with your dream clients. In the digital economy both content and branding are king. Here’s the thing: content is branding. Savvy brands are using content in clever ways to connect and convert their prospects into loyal customers. 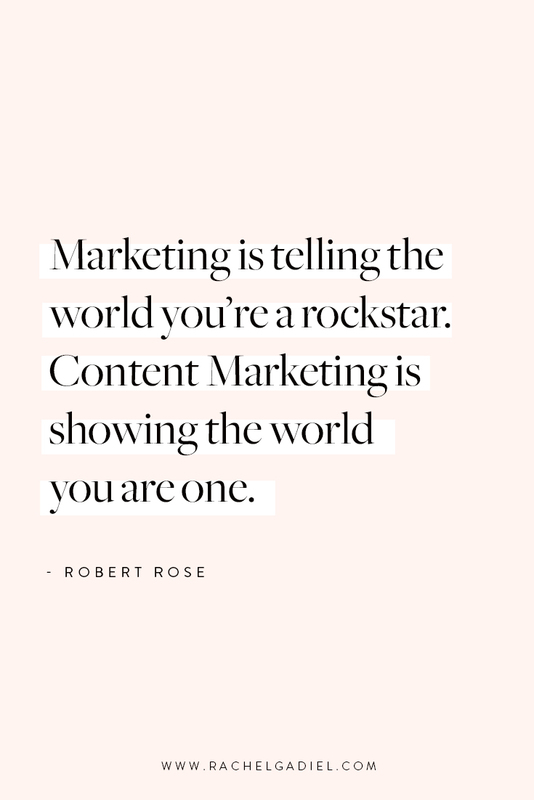 And when you create consistent content on your blog that clearly articulates your knowledge in a particular area, you immediately position yourself as an expert in that field. The more you can demonstrate your expertise by sharing solutions, tips, and ideas around your chosen topic, the more you align your brand as being a thought leader in this area, as well as building trust and important relationships with your readers at the same time. Supported by a well thought out social media strategy and outreach; consistency over time will reward you with a personal brand that clearly demonstrates your leadership and expertise in your niche. 3. Your vibe attracts the right tribe. When you start thinking of your website as a way to attract or repel your dream clients, you’re potentially saving yourself a ton of time. Here’s the thing: you want your dream clients to connect with you and to resonate with you and your vibe. If you’re letting off a vibe that’s not in alignment with who you are as a person, or what you can offer potential clients, then you’re doing you and your business a disservice. While there are a million other coaches, personal trainers, nutritionists and designers online - no one is YOU. Through clever copy and visuals, you have the opportunity to create a brand that not only authentically represents you, your vision and your values - but that’s also going to attract the RIGHT kind of people to you. The point is not trying to be everything to everyone - this is a recipe for disaster. Figure out who you most want to work with and create content and offerings that speaks to and solves their specific needs. Then, focus on showing up consistently and doing YOU - the rest will follow. This approach allows you naturally weed out people who really would never consider working with you in the first place and means you get to work with amazing people who vibe with you! 4. You own the data and the relationship with your audience. Unlike social media, where you’re building an audience on someone else’s platform and they control the data; your website is an opportunity to grow a database of people who are genuinely interested in you and your work. There are so many great tools like Sumo and ConvertKit that allow you to easily capture email addresses, providing the perfect opportunity to start building a relationship through regular email communication with your people! 5. Savvy Sales Funnels allow you can work smarter, not harder. Once your email platform is set up, put it to work and use it as a smart sales funnel by setting up automations to save you time following up potential leads. This way, you can quickly identify people who are serious about working with you... and if you’re using it as a way to sell digital products then this is an amazing way to create a source of passive income where you're not trading time for dollars, which means you can earn money while you sleep! 6. SEO helps drive enormous traffic with potentially thousands of new leads each month. What if by making some simple tweaks to how you craft your digital content and how your website is structured, you could potentially bring thousands of new leads to your site each month? Here’s the thing: when backed by a solid strategy SEO can, over the long term, drive significant traffic to your website at a fraction of the cost of standard advertising fees. The Google algorithm loves fresh content and favors sites that are regularly updating their websites with relevant, targeted and extremely useful information. As the algorithm is always changing and never static, an optimal strategy would be to make strategic website updates as well as integrating SEO into an ongoing process of content creation, rather than treating it as a standalone project. 7. You have complete creative control. Unlike any other form of online marketing, you have complete creative control about everything on your website and domain. As your business grows and evolves, so too can your website. Key to this is building your site on a flexible platform that’s easy for you to update - like Squarespace, where you don’t need expensive designers and coders. This means you can always have an up-to-date, fresh, modern and well-designed online home and use it as a powerful marketing tool and making meaningful connections with your dream clients. 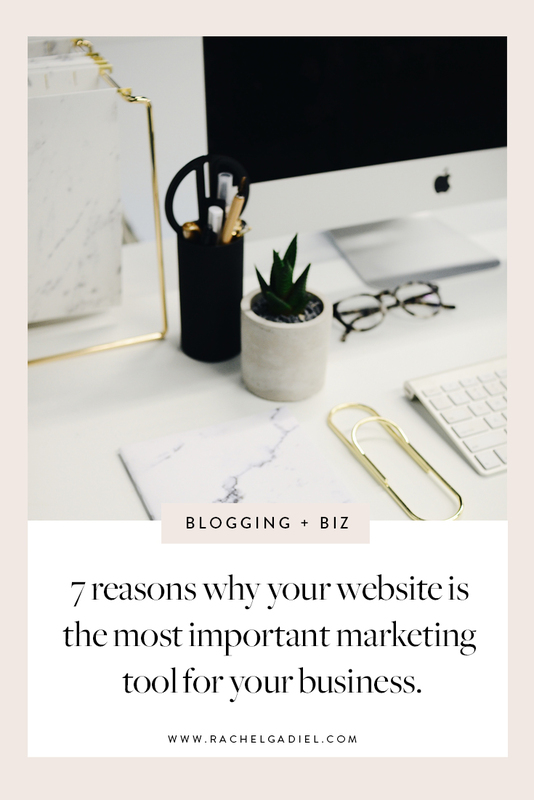 So there you have it - my top 7 reasons why your website is the most important marketing tool for your business. What is one thing you can do to optimize your website and start turning your website into a profitable money making machine? !